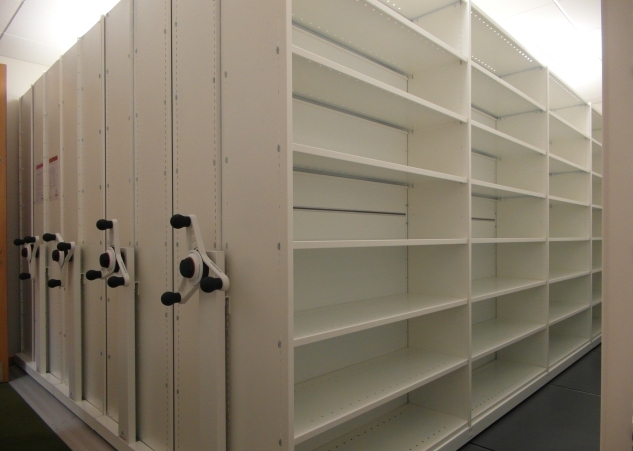 Mobile Shelving systems, otherwise known as roller racking, offer a cost effective and virtually maintenance free way of creating extra space by reducing aisles between shelving units. These systems are ideal for high-density storage and can increase effective storage space by up to 100%. Mobile shelving units can be closely packed when access is not required, but can be readily moved to open up an aisle to allow access. By eliminating the need for a permanently open aisle between every unit, a smaller proportion of floor space can be allocated to storage than in the case of conventional fixed shelving, or a higher capacity of storage can be met using the same footprint as fixed shelving. Each shelving unit is normally mounted on a level track way (to eliminate gradients in the supporting floor), making it possible to move heavy units with minimal effort. 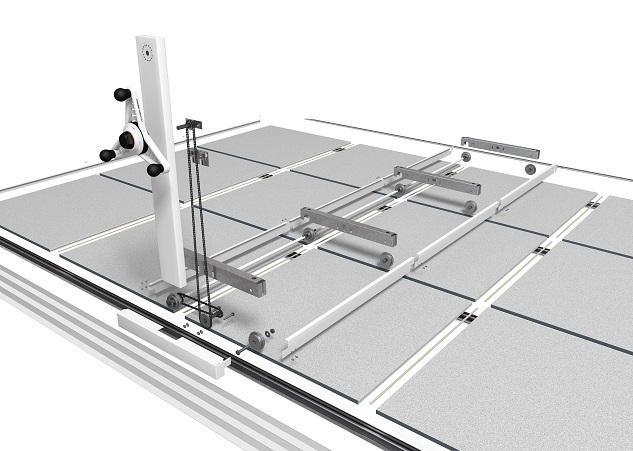 Although the bays of shelving that sit on the mobile chassis come in many standard sizes, they can be mixed to create run lengths of shelving to maximise any room length. 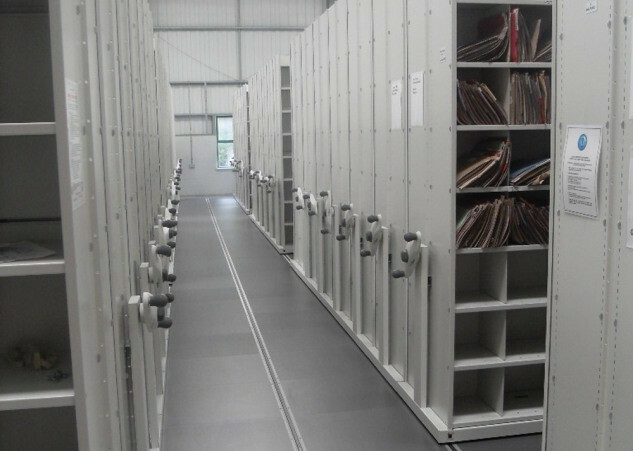 Mobile shelving is typically used for academic or commercial applications where a significant volume of physical archive material, filing or books are to be stored. These include medical or government records, file-intensive offices such as the legal or accountancy professions, and public and academic libraries or similar archives. 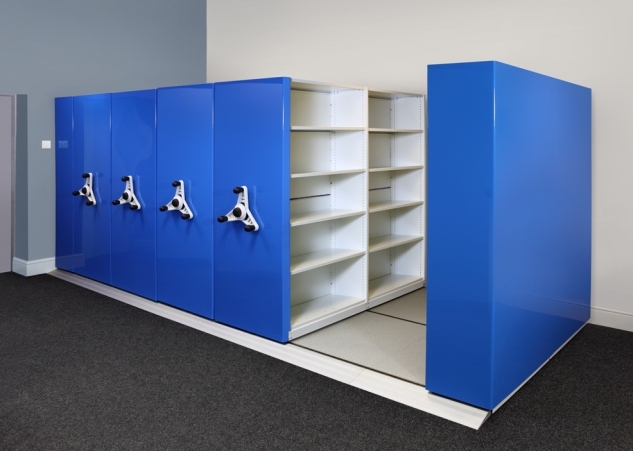 Another common use is in retail stockrooms to maximise the stock capacity, or to reduce the back of house storage space required so that a greater proportion of the overall shop space can be used for customer retail purposes. 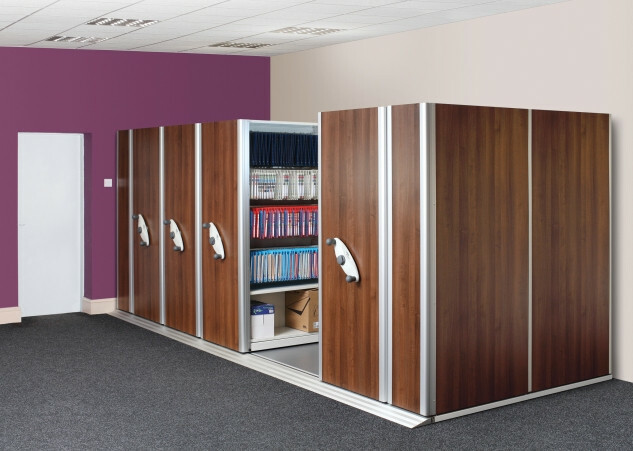 A typical bank of mobile office shelving units offer close to a 50% reduction of floor space or a 100% increase in storage space compared to traditional filing cabinets. The ability to concertina individual units until touching means space is only required between units when they are being accessed by users. 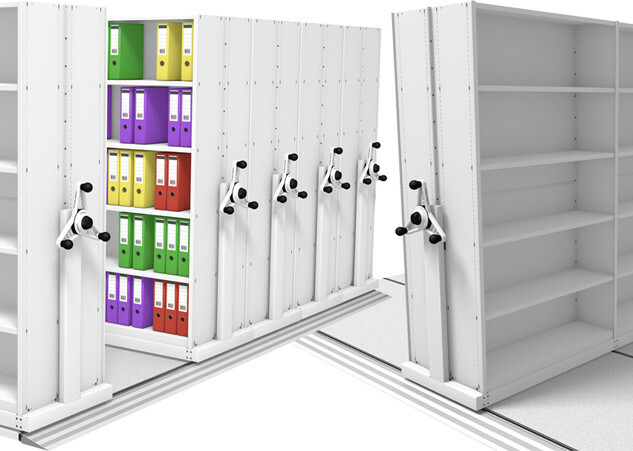 Superior Storage Solutions offer a comprehensive range of Mobile systems, all of which, can be extended, reconfigured or relocated with minimum disruption to your business.